Relive your childhood or catch up on classics you've never seen. This colossal set features 600 episodes from 40 series that aired in Hollywood's Golden Age. 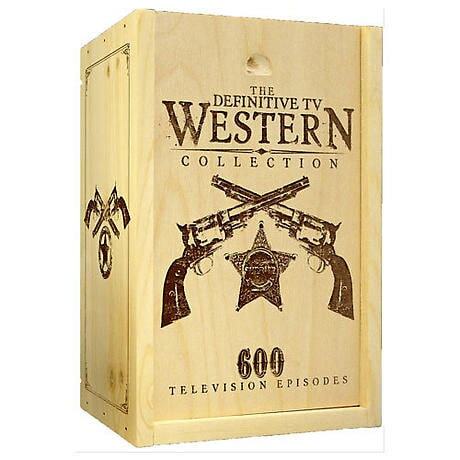 Includes episodes fromAnnie Oakley, The Cisco Kid, Death Valley Days, The Gabby Hayes Show, The Roy Rogers Show, The Lone Ranger, Wyatt Earp, Bonanza, Wagon Train, Cowboy G-Men, The Rifleman, Bat Masterson, Sky King, and many more. Over 265 hours on 48 DVDs plus 24-page booklet in a branded wood box.